Check out what’s happening in your military community! 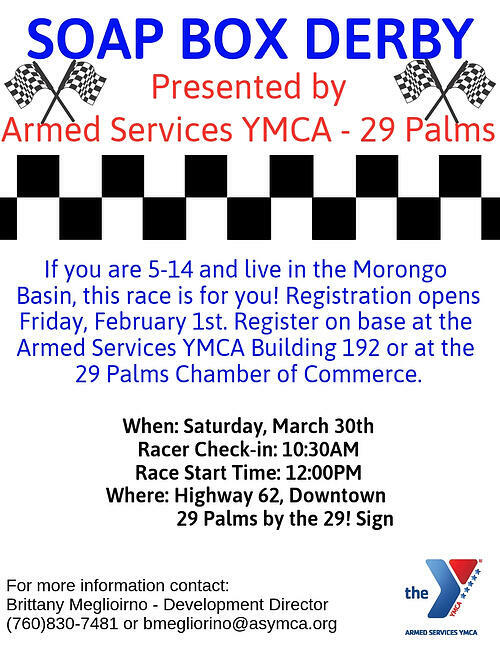 Download the forms below and bring them into the Armed Services YMCA Building 192 or the 29 Palms Chamber of Commerce to register today! 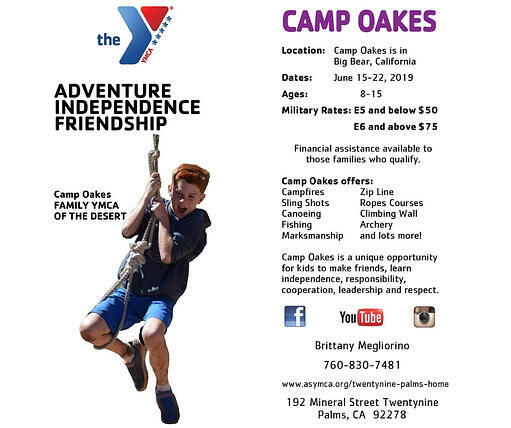 Join the Armed Services YMCA as we partner with Family YMCA of the Desert to host a one week, residential camp at Camp Oakes in the mountains of Big Bear, California. Summer camp is a unique opportunity for military children to join children from the local community to make friends while learning independence, responsibility, cooperation, leadership skills, and respect. Make sure to register for your family account on Amilia to ensure a smooth camp registration process. Click on the button below. Then click "register" once you get to our website.